My favorite options in any travel experience are the ones that lead me to live like a local instead of a tourist. With the first tastes of capitalism, Cubans are taking advantage of letting you rent space in their residence, much like a bed & breakfast. Spanish for “home,” casas are one of the most affordable options for lodging. This is an amazing opportunity to really interact with the locals and break bread with your host family. Though these home-stays provide an inexpensive option, finding the best ones do require a bit of research. Finding a home-stay in a place like Cuba can be a little tricky since relations with the U.S. are still out of sorts. In order to find your perfect asa particular search TripAdvisor for "Cuba (or a city such as Havana or Vinales) Bed and Breakfasts” and you will be able to evaluate each based on locale, reviews, price, etc. TripAdvisor will rate the best ones but it will fail to contain their contact information. To contact the casas which interest you the most, conduct a Google search for the names of these casas and add “email” to your search. This should successfully yield the email address for your selected casas, and once you have emailed them, wait to see who emails you back. During my visit in February/March, I encountered two American travelers from San Diego, who highly recommended a casa by the name of Vista al Prado. Vista al Prado boasts clean rooms, a friendly host, breakfast, and a view of the ocean. I can also attest that the host is extremely nice, as I had to call their casa several times to reach my new friends. When I did speak on the phone with their host, he was very kind and his English was excellent. The contact email for Vista al Prado is: fllanes@gmail.com. 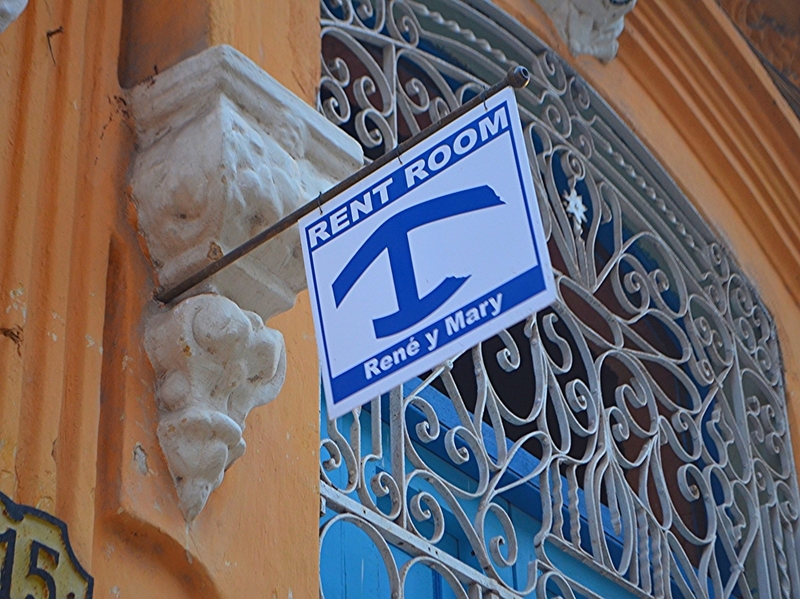 When you arrive, you will definitely see many Casa Particular signs, or signs that say “Room for Rent.” There are hundreds if not thousands all over Havana, and they look like upside-down anchors. However, with this method you never know what situation you will be getting or how safe your belongings may be there, but if you are a trusting individual and don’t mind taking a gamble, this could work as well. I always jump at the chance to interact with locals and see how they live their day-to-day lives. Concerning Cuba, it is an exceptional time in history for Cubans especially those venturing into the untamed waters of capitalism in a still very much communist nation. The people that are renting rooms and working in tourism have quickly had their lives changed for the better. Most rooms rent for the equivalent of $30/night. Just to put that into prospective, the majority of Cubans make $40 a month. Although it’s taxed, that money is going directly into the pockets of the Cuban Entrepreneurs instead of the hotels, aka the socialist government. 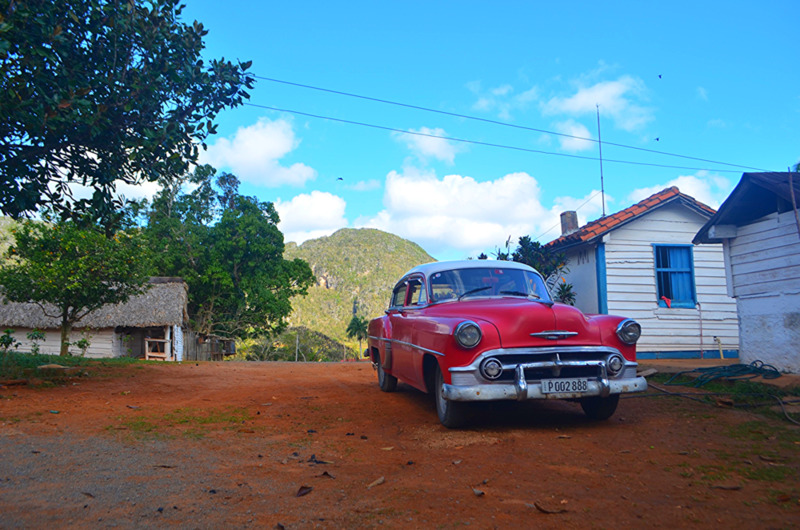 Staying in a casa can offer any traveler an unmatched insight into Cuban culture. Even if you happen to be the type of traveler that enjoys the amenities offered by a hotel, one night at a casa for the experience certainly couldn’t hurt.